The centers are arranged in three columns. The left column is called the Pillar of Severity. This represents the female side of man and contains three sephira: Binah (Understanding), Geburah (Severity) and Hod (Splendor). The right column is called the Pillar of Mercy. 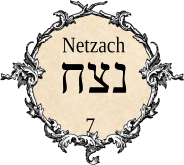 This represents the male side of man and also contains three sephira: Chokmah (Wisdom), Chesed (Mercy) and Netzach (Victory). The middle pillar is called the Pillar of Equilibrium. It represents the balance between the male and female pillars. It contains four sephira: Kether (Crown), Tiphareth (Beauty), Yesod (Foundation) and Malkuth (Kingdom). The First Cause, timeless and eternal, the first emanation of diety as our universe is Kether. The Chinese called it the Tao. It was also said, talking about it too much, evaporates your understanding of it. While Kether is timeless, the action of Chokhmah is completely dynamic. It is the Lingam of creation, the “bang” part of the big bang, the massive Yang exploding outwards in all directions with the energy of Kether. This explosive nature is admirably suited to the astrological character of Pluto, to which it has now been assigned. 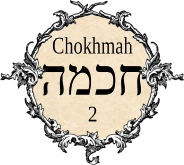 The Yin to the Yang of Chokmah, Binah receives the projective force of Chokmah and limits it to give it form. It is the last of the supernal powers, which are beyond manifestation. Saturn was placed upon this sephira, but with the discovery of the three outer planets, it is more effectively associated with Neptune. Binah is also the Great Mother, the ocean that gives birth to the life of the universe. 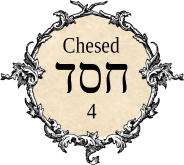 The first sephiroth below the supernals is Chesed, which means “Mercy.” This is a sephira of merciful power, benevolence and generosity. The leaders and fathers of pantheons are here, as well as priests and judges. The influence of this sephira is kingly and mystical. The primary influence of this sephira is strength. Specifically, the strength of the righteous against the forces of evil. The warrior gods may be found here, in their full Spartan simplicity and power. This sephira governs the will of those who go against wrong: the surgeon as well as the prosecuting attorney. At the center of the sigil of the Tree of Life lies Tiferet, the sephira of the sun. It is the main connection between the Divine and the mundane, and is the only sephira below the supernals which has a direct path with Kether. The gods attributed to this sphere are the child, and the sacrificed god, as well as the more obvious solar deities. The sephira of nature is Netzach. Its nature is ecstatic, the joyous play of the divine energy. It is also the first sephira of emanation that operates without “ethics,” It contains within its meaning the process of negative feedback. To this sphere are attributed the gentle gods of life and beauty, of which some are Venus, Aphrodite, and Bast. Their terrible aspect comes from their inhuman natures with respect to justice or morality. To note that the most successful are often those unworthy of it is to operate within the laws of this sphere. 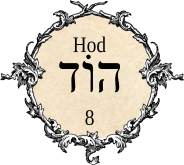 Hod is the sephiroth of the scientific intellect, which operates here in a passive sense to the emotional Netzach. Instead of unintelligable ecstasy, we have wonderful ideas, words of knowledge and poetry, and inspirations. All gods of the intellect are represented here. 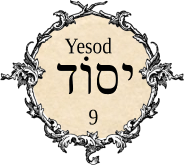 The sephiroth of Yesod is the process of crystalization, where energy becomes definable as forces. The action of Hod and Netzach comes together before its final projection into Malkuth. It is of supreme importance in magical working, as its nature is still dynamic enough to be altered by a current of Will. It does little good to bang on the physical world with your mind. 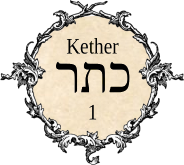 The last emanation of creation is Malkuth, which represents the final solidification of the energy of Kether. It is result of all the work done through the preceding sephiroth. This sephira is totally passive; all energy directed to it works it’s change and is grounded. 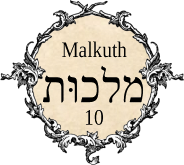 The titles of Malkuth are “Malkah,” the princess and “Kalah,” the bride, when considered as the Spouse of Zauir Anpin, the Microprosopus. The sphere of knowledge Daath is invisible because it contains both accessible and hidden knowledge. This sphere has no archangel but is used as an entrance and exit point to the Yetzirah (the third world of formation), the realm of the angels. 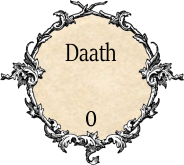 Daath is often called the Abyss, the gulf between the phenomenal world of manifestation and its source. Only by passing through the Abyss can we realize out innermost spiritual nature. 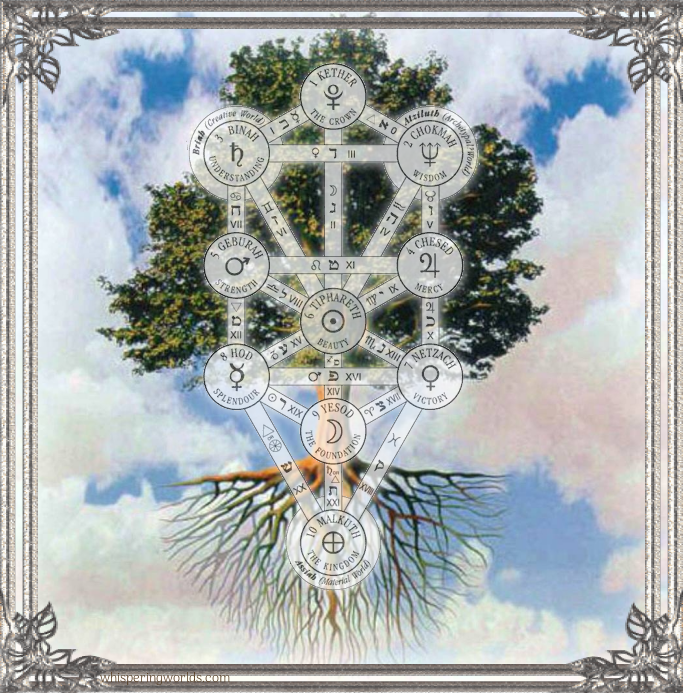 Daath is the primary junction where various forces on the Tree of Life come together, yet it is also a barrier that you must pass beyond if you wish to scale the Tree of Life.